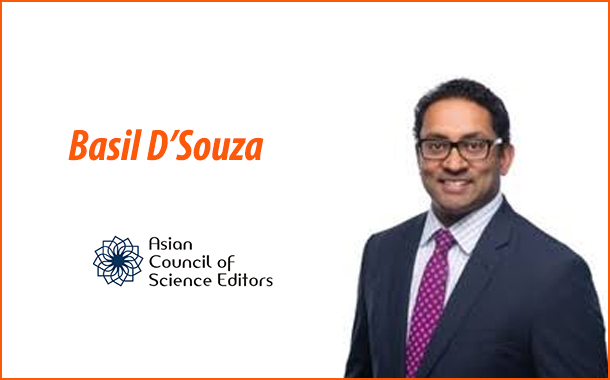 Mumbai: Basil D’Souza, Head of Korea Operations, Cactus Communications, was recently appointed as the Chair of External Affairs for the Council of Asian Science Editors (CASE), in South Korea. D’Souza, a Mumbai University alumnus, was deputed to head Cactus’ Korea office in 2016, to manage and develop partnerships with Korean universities, publishers, and journals. He brings with him a decade of leadership experience and holds a Masters’ degree in Nuclear Physics and has specialized in radiation physics and nuclear detectors. “With the prestigious appointment of Basil on the board of CASE, Cactus will be working closely with the council in order to educate Asian journal editors and contribute to the bridging the gap between Asian Journal editors and the Western STM industry,” said Mr. Abhishek Goel, Co-founder, and CEO of Cactus Communications. CASE is a non-governmental, non-partisan, and non-profit organization which was established during the Asian Science Editors Conference & Workshop 2014 at the Korean Federation of Science and Technology Societies (KOFST). The motive of this organization is to enhance the quality of scientific journals published in Asia by facilitating an exchange of information on editing and publishing, as well as to provide an international platform to researchers in order to help them attain the readership they deserve. Founded in 2002, Cactus Communications is a global scholarly and medical communications company with offices in Tokyo, Seoul, Shanghai, Beijing, London, New Jersey, Mumbai, and Singapore.